﻿ World exclusive: Suzuki MotoGP bike to lap the Isle of Man TT! Loris Capirossi’s 225bhp factory 800cc Rizla Suzuki GSV-R will lap the Isle of Man TT mountain course after the Senior race on Friday June 11. 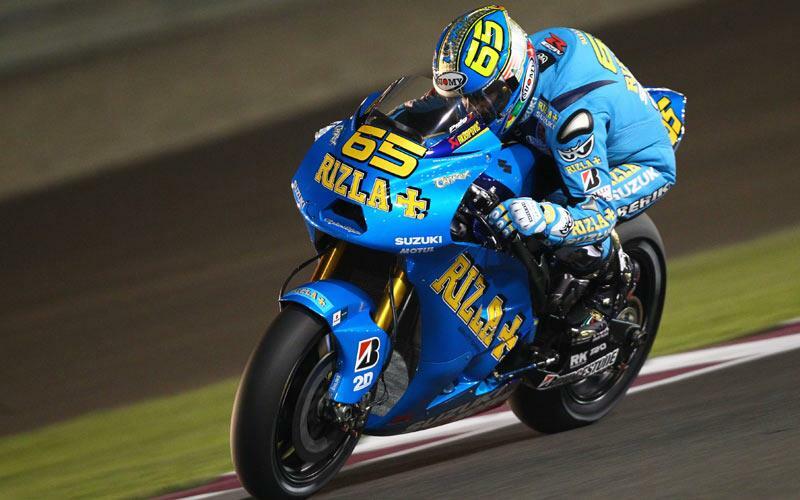 Suzuki will top its celebration of 50 years in racing, and 25 years of the GSX-R by putting the factory Suzuki MotoGP prototype in the hands of 2008 TT winner Cameron Donald. It’s the first time ever that a MotoGP bike has ridden around the famous Isle of Man TT circuit. The ear-shattering, unsilenced 211mph Suzuki GSV-R XRG-3 is the exact same bike that took Loris Capirossi to his 300th GP race in Qatar last month. MotoGP hero Loris Capirossi will also ride round the Isle of Man TT as part of the Suzuki Parade lap before the Dainese-backed Senior TT race on Friday June 11. For the full story read this week’s issue of MCN on sale in all good newsagents now.